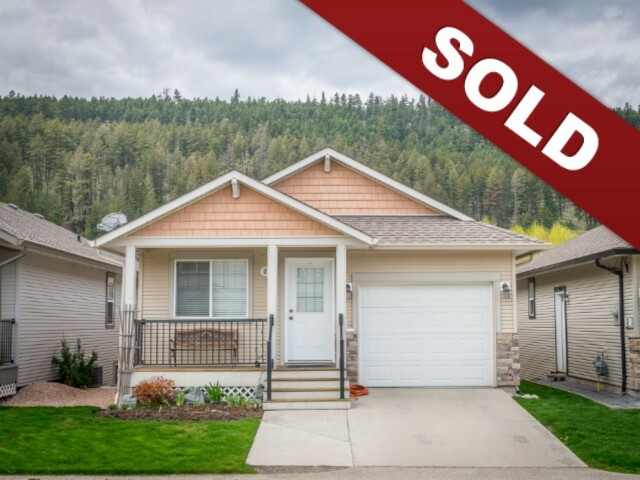 New Listing: 21-1760 Copperhead Drive, Pineview Valley, Kamloops BC $399,000. Beautifully situated fully detached bare land strata rancher style home with large yard and backing on to a green belt. This home is located in a popular bare land strata development in Pineview, it features level entry with a single car garage and additional parking spot in the driveway. The main living space is open concept, has room for all your furniture and leads to a nice patio space overlooking the yard. There is a large master bedroom with secondary access to the 4 piece bathroom as well as a second main floor bedroom. The basement level is a daylight walk out with access to the fully fenced yard. There is a large family room, additional 3 piece bathroom and a large guest room. The basement also features a spacious laundry room and additional room used as a gym but could also be perfect for storage. The yard is gorgeous, with raised bed garden beds featuring a variety of plants. There is a large paving stone patio in the yard with pergola to keep you cool in the warmer months. One of the larger lots in the development and backs on to a green belt and walking trail, all you can hear is the birds chirping!